Seriously, this guy is a walking talking history book. 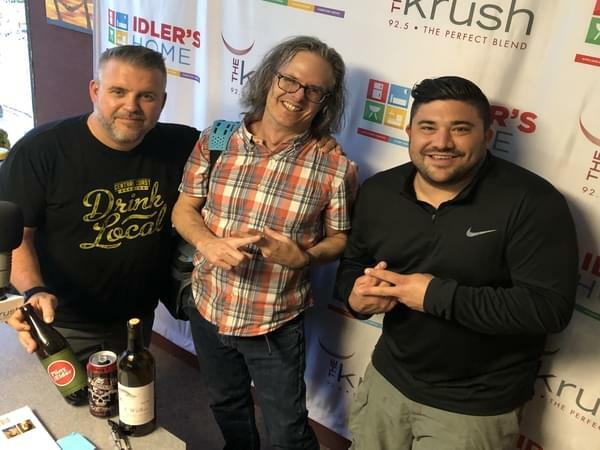 We got Wes Hagen, Winemaker and Ambassador for J. Wilkes Wines in studio today to talk all about the history of wine here in California. If you thought Napa was the states first major wine region, guess what? Wes also talks about how American essentially hit th reset button on winemaking after Prohibition and more. Of course we taste some amazing wine AND beer! Wes brings in the 2016 J. Wilkes Zin and some Pliny The Elder and Todd Th Axe Man in as well.